"I want to learn the ways of the Force and become a Jedi like my father." 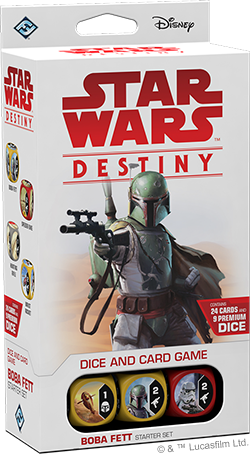 Fantasy Flight Games is proud to announce Legacies, a new 160-card booster set for Star Wars™: Destiny, as well as two new 24-card Starter Sets, the Boba Fett Starter Set and the Luke Skywalker Starter Set. 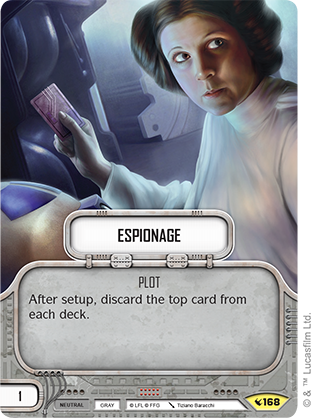 Pre-order the Boba Fett Starter Set, the Luke Skywalker Starter Set, and the Legacies Booster Packs at your local retailer or from the Fantasy Flight website, and read on for more of what you may expect to find in Legacies! Legacies features a new dice symbol to Star Wars: Destiny. Indirect Damage can be a powerful tool, but comes with a major drawback. The symbol represents Indirect Damage, and allows you to force an opponent to deal that much damage to their characters, distributed as they wish, allowing them to split it up among multiple characters. When you deal indirect damage to an opponent, they choose how that damage is dispersed among their characters. Indirect Damage is powerful but unfocused—sometimes great effects can even see you dealing indirect damage to yourself. 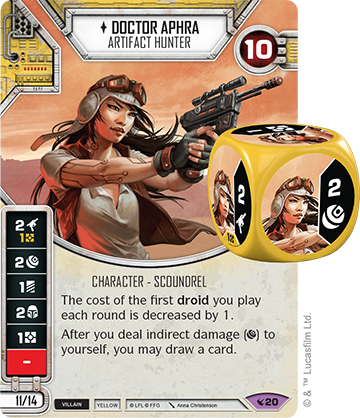 Of course some characters are used to collateral damage, like Doctor Aphra, Artifact Hunter (Legacies, 20). A brilliant scientist and explorer, Aphra’s life changed forever when she was recruited by Darth Vader after the Battle of Yavin. 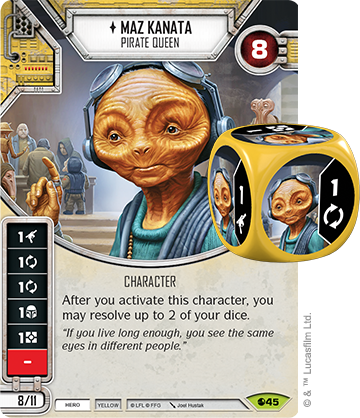 Aphra enters Destiny at eleven points for a normal version or fourteen for an elite. Her die features a ranged damage side, an indirect damage side, a discard side, a shield side, and a resource side. Doctor Aphra’s affinity for Droids gives you the ability to receive a one-resource discount on the first droid you play each turn. Furthermore, her knack for trouble lets you draw a card whenever you deal indirect damage to yourself. Several cards in Legacies will allow you to inflict indirect damage on yourself for powerful effects. One of these is Aphra’s upgraded droid unit, BT-1 (Legacies, 24). 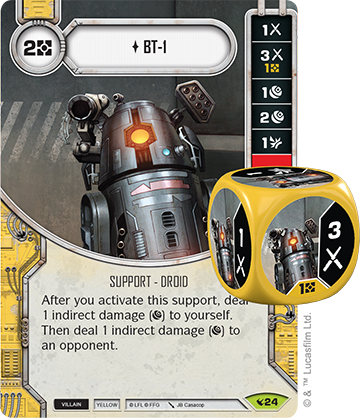 BT-1 is a two-cost droid upgrade (or one cost if played with Dr. Aphra’s ability) and deals one indirect damage to yourself and your opponent whenever you activate it. Its die can also dispense damage, with two melee damage sides, two indirect damage sides, and a disrupt side. Rolling in BT-1 ensures your opponent will be taking at least a little bit of damage every turn from this support alone. 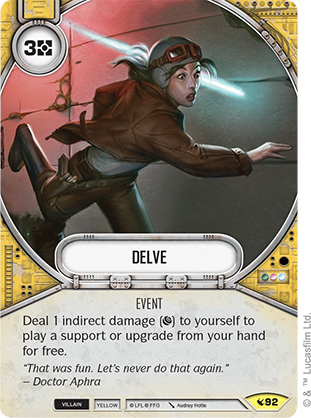 Doctor Aphra can also actively continue her dangerous hunt for artifacts, using Delve (Legacies, 92) to deal one indirect damage to yourself to play a support or upgrade from your hand for free. While in his older years, Obi-Wan Kenobi (Legacies, 32) served as a mentor to Luke Skywalker, his legacy lies in the Clone Wars as a Jedi Master and General. 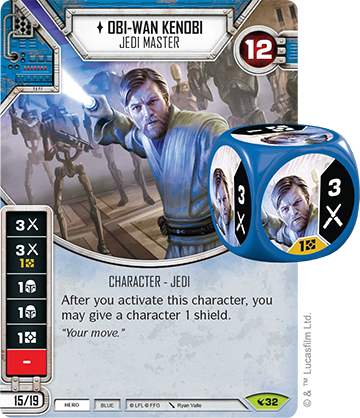 This younger version of Obi-Wan Kenobi enters Destiny at fifteen points, or nineteen for an elite. His die includes two melee damage sides, two shield sides, and a resource side. Furthermore, anytime you activate Obi-Wan, you may give a character one shield. With both of his damage sides dealing an impressive three melee-damage, Obi-Wan provides both a solid offensive and defensive basis, protecting your characters while dishing out damage. Obi-Wan’s impressive damage output can be amplified with his signature weapon, Obi-Wan Kenobi's Lightsaber (Legacies, 37). At three-cost, the weapon features a melee damage side, a modified melee damage side, two shield sides, and a special symbol. 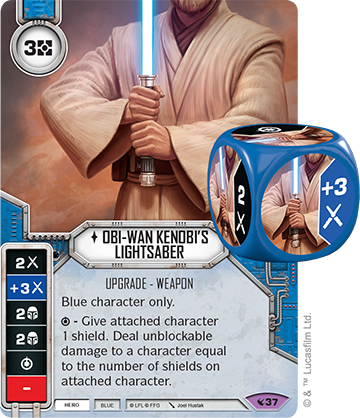 This special mirrors Obi-Wan’s offensive and defensive balance, allowing you to give a shield to the attached character before dealing unblockable damage to a character equal to the number of shields on the attached character. This can help build a natural defense while still dealing out devastating damage. 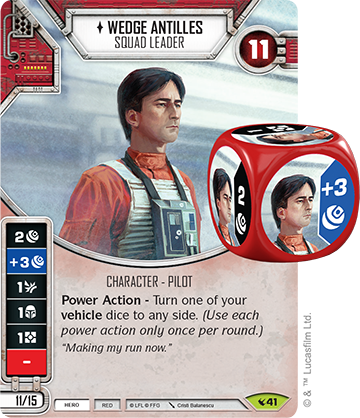 Also, introduced in Legacies is the concept of the “Power Action,” abilities that may only be used once per round, and are found on multiple characters, including famed pilot Wedge Antilles (Legacies, 41). Wedge enters Destiny at eleven points for a normal version or fifteen for an elite. His die features an indirect damage side, a modified indirect damage side, a disrupt side, a shield side, and a resource side. His ability is a new Power Action that allows you to turn one of your vehicle dice to any side. 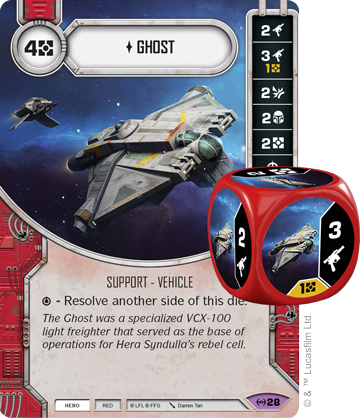 This can ensure a powerful blow to your opponents from a vehicle like Ghost (Empire at War, 28) or a U-Wing (Spirit of Rebellion, 31), but is of course limited to once per round. 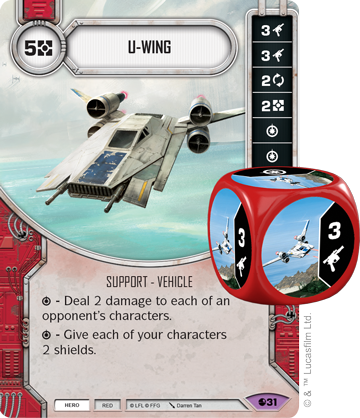 Wedge will get plenty of new vehicles to work with in Legacies. 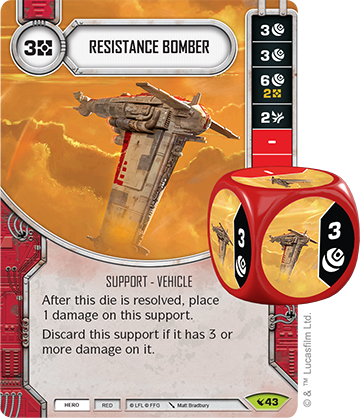 The Resistance Bomber (Legacies, 43) is a three-cost vehicle that features three indirect damage sides (including one that deals a massive six damage) and a disrupt side. The Resistance Bomber also introduces a new concept in Legacies; damage on supports. Several vehicles will accrue damage as the game goes on; the Resistance Bomber is the simplest of these, taking a damage every time its die is resolved and being discarded after it takes three damage. The Resistance Bomber is a powerful but fragile tool, and Wedge can ensure you always get the most out of it. 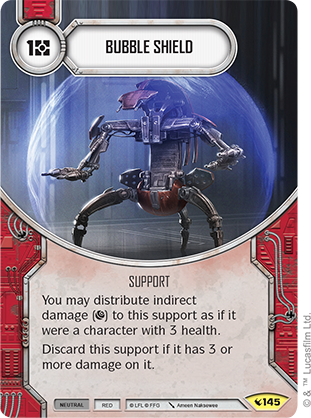 Damage on supports can also be used as a protective method—one-cost support Bubble Shield (Legacies, 145) allows you to mitigate indirect damage by placing it on the support. 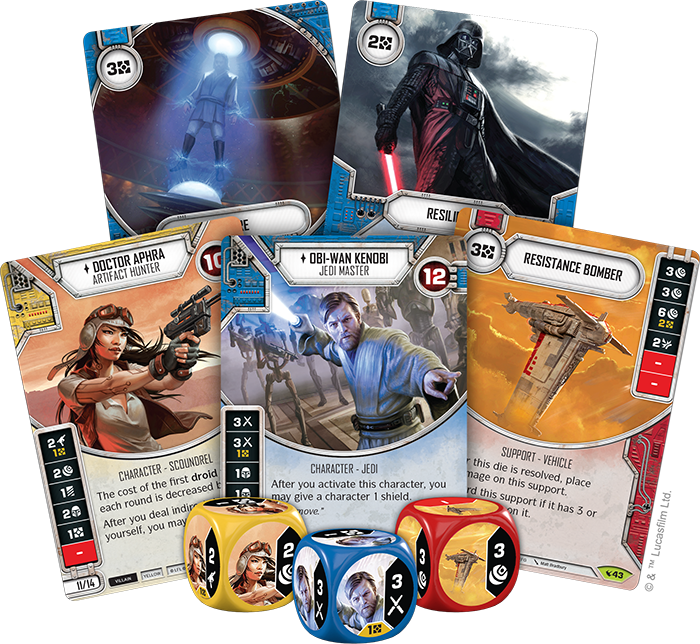 Since the beginning of Star Wars: Destiny, points for deckbuilding have resided purely on characters. With a thirty-point limit, any team that added up to less than that was playing with a disadvantage, resulting in little motivation to play a twenty-nine or twenty-eight point team. 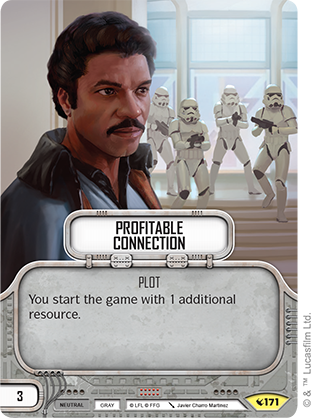 Legacies looks to expand on deckbuilding opportunities with new Plot cards. At the start of a game, you may choose a single Plot card to give you an advantage at the start of the game, in exchange for your deckbuilding points. In Legacies, Plot cards cost between one and three points, allowing you to get to make a thirty-point deck even if your characters add up to a total in the high twenties. 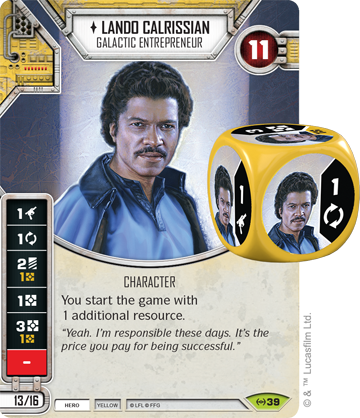 You can team an elite Lando Calrissian (Empire at War, 39) with an elite Maz Kanata (Spirit of Rebellion, 45) with a Profitable Connection (Legacies, 171) Plot to start the game with four resources! Launching alongside Legacies will be two new starter sets for Destiny, focusing on two characters inheriting their father's legacies: Boba Fett and Luke Skywalker. 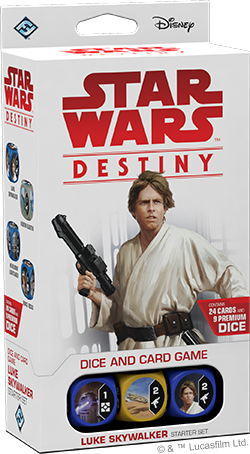 Both decks feature twenty-four cards, nine dice, and all the components you need to take your first steps into Star Wars: Destiny. The Boba Fett Starter Set features the Infamous Bounty Hunter himself as well as a veteran Stormtrooper. 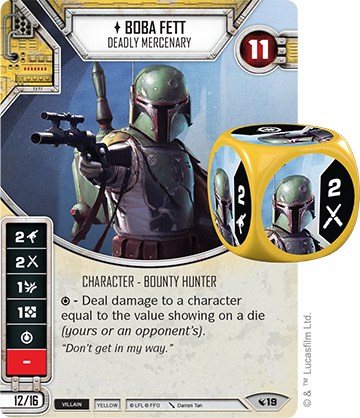 Boba Fett (Legacies, 19) enters the game at twelve points for a normal version or sixteen points for the elite version, as featured in the starter. Boba Fett’s die includes a ranged damage side, a melee damage side, a disrupt side, a resource side, and a special symbol. The symbol allows you to deal damage to a character equal to the value showing on a die. This can turn your opponent’s greatest weapons against them and allow the bounty hunter to get the upper hand. 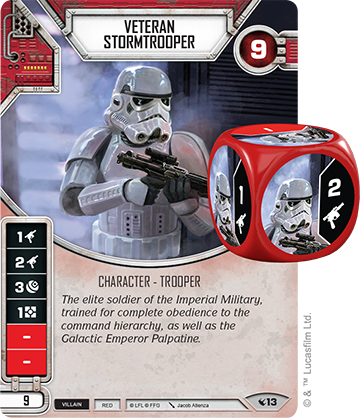 Meanwhile the Veteran Stormtrooper (Legacies, 13) costs nine points and is sure to dish out damage with two ranged damage sides and an indirect damage side. A resource side and two blanks rounds out their die, so while they may not be the most consistent character, they are sure to support Boba Fett with additional damage. The Luke Skywalker Starter Set features heroes from the original Star Wars trilogy: Luke Skywalker and Han Solo. 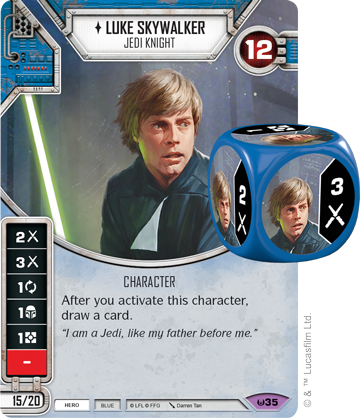 While his Awakenings version (Awakenings, 35) shows Luke in his prime, Luke Skywalker, Unlikely Hero (Legacies, 31) is just beginning his journey through the galaxy, entering Destiny as eleven points for a normal version or fourteen for the elite version, as featured in the starter. Luke’s die features two ranged sides, a melee side, a shield side, and a resource side. 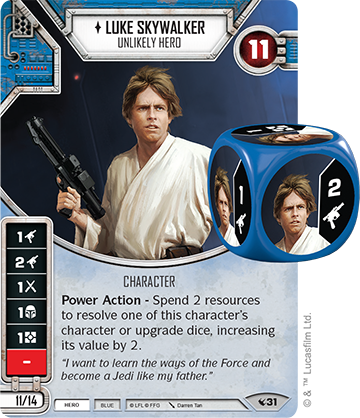 As a Power Action, you may spend two resources to resolve one of Luke’s character or upgrade dice, increasing its value by two. This gives you options when resolving Luke’s die, either saving your resources and resolving them as normal, or going for a big swing by increasing their value. Fighting alongside Luke is the Savvy Smuggler, Han Solo (Legacies, 46). 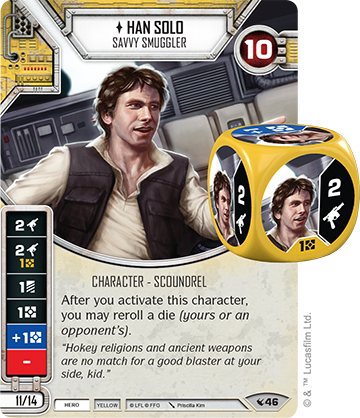 This version of Han can be played at eleven points for a normal version or fourteen for an elite. Han’s die includes two ranged sides, a discard side, a resource side, and a modified resource side. After you activate Han, you may reroll a die, either yours or an opponent’s. This is essentially a free action and can be used to mitigate a threat or reroll into something better for yourself. With powerful abilities, this unlikely pair of heroes is ready to take on whatever challenge comes their way. These characters are supported by brand new cards in their respective starter decks—check back later for future previews of these powerful tools! With new mechanics and abilities for every color, Legacies will change the shape of Star Wars: Destiny for years to come. 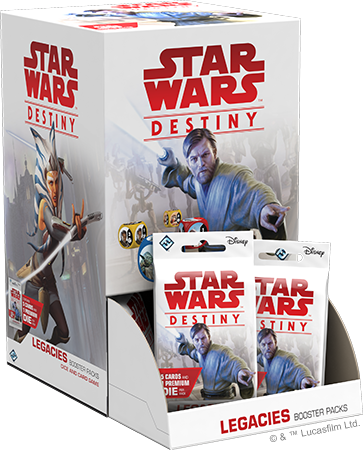 Establish your legacy by pre-ordering the Boba Fett Starter Set (SWD09), the Luke Skywalker Starter Set (SWD10), and the Legacies Booster Packs (SWD11a) from your local retailer or from the Fantasy Flight Games website by clicking the links above.